Citizen Helps Deputies Arrest Alleged Thief, ONALASKA, February 18, 2013 - On the morning of February 12th, 2014 an alert citizen in the Sportsmans Retreat Sub-Division observed a truck hooking up to his neighbors low-boy trailer and called it in to the Polk County Sheriff’s Office. Deputies along with Onalaska Police Department located a truck pulling a trailer matching the description in the city limits of Onalaska. An arrest was made on Matthew Thomas Wallace, 30, of Onalaska, for felony theft according to Sheriff Kenneth Hammack. Investigators with the Sheriff's Office interviewed Wallace in reference to the theft and other burglaries reported in the Sportsmans Retreat Sub-Division. Wallace stated that he may have some of the property in question located at his residence and gave other locations where property may have been taken. Investigators spoke to his wife who gave consent to search their residence for the stolen items. A search of the residence proved to be fruitful. Investigators recovered a Port-a-Torch kit and power tools with victims name inscribed on them. On February 13th, Detectives with the Investigation and Narcotics Division traveled to a location off of Vince Drive and were able to locate a 3500 W Generator and Dewalt power tools which were also reported missing in the burglary. 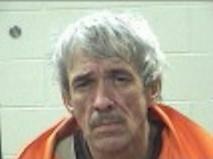 Consent to search was given by occupant of the residence, David Emanuel Brecheen, 51, of Onalaska. Detectives conducted a search of the home turned up methamphetamine and paraphernalia used to ingest methamphetamine. David Brecheen was transported to the Polk County Jail and booked in for Possession of a Controlled Substance (felonies).